The Association of Certified Fraud Examiners is the world's largest anti-fraud organization and premier provider of anti-fraud training and education. ACFE membership requirements include fraud related professional experience, and passing a rigorous six hour examination. This CFE® designation is recognized by the FBI, NCIS, US Secret Service and others for hiring and promotional purposes. Greg is President of the Central Indiana Chapter. 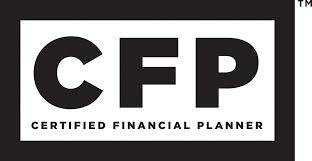 The Certified Financial Planner (CFP®) Board of Standards requirements for certification are extensive. They include passing a ten hour examination and have a minimum of three years of full-time relevant professional financial planning experience. Greg has been a CFP since 1982. The American College’s CLU® (Chartered Life Underwriter) designation can be earned by successfully completing eight of its college-level courses. Its ChFC® (Chartered Financial Consultant) designation can be earned by completing seven of its college-level courses. Mensa, the high IQ society, provides a forum for intellectual exchange among its members. There are members in more than 100 countries around the world.. Greg was tested and joined this organization in 1984.
d) To maintain a high professional standing and to further the acquaintance and fellowship among scientific and technical men and women.